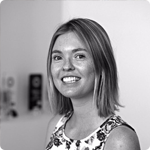 User experience (UX), customer experience (CX), and service design (SD) are all important human-centred design disciplines that are underpinned by theory and rigorous research. These disciplines can be traced back many years, however it is more recently that they have gained popularity, particularly as more companies become design driven and are accepting design as a crucial business strategy (such as Airbnb, Adobe, and Google). Even with this increase in adoption, there still tends to be some confusion around what UX, CX, and SD are, and the purpose of each. This blog post will describe each of these disciplines, the benefits of them, as well as how they are interrelated. User experience (also known as UX) is the process of designing a product that is useful, functional, easy to use, as well as enjoyable to interact with. The UX process can be applied to both digital and physical products, such as websites, mobile apps, cars, pamphlets, fitness equipment… the list goes on. UX brings incredible value to products, and should be included throughout the entire design process. The purpose of the discovery phase is to understand the people who currently use or will use the product, what they want to do with the product, as well as how they want to feel when they use the product. Further, the discovery phase takes into account a number of other factors – such as the business requirements for the product, market demands, the budget, and the available resources. The discovery phase allows these factors to be understood to ensure the product is designed for the best experience possible. 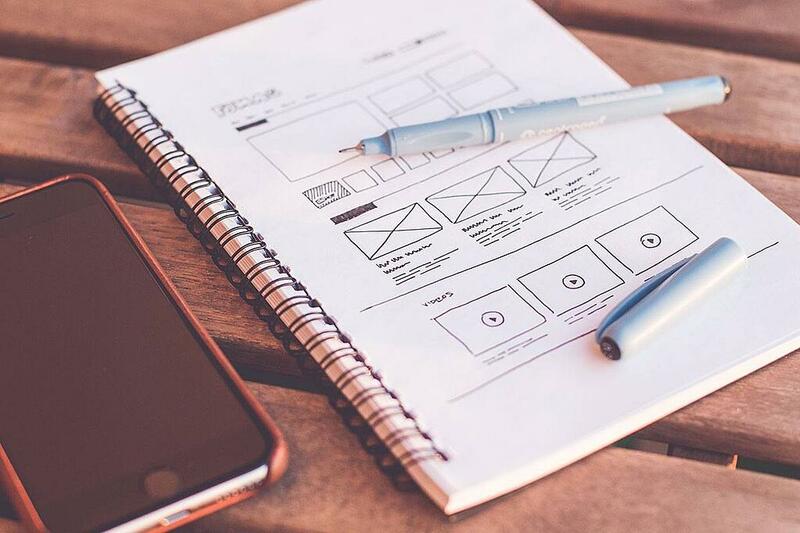 During the design phase, the navigation, usability, and user interface of the product is designed according to the user and business requirements, as well as best-practice UX design principles. Once the initial design has been created, the testing/feedback phase commences. This phase involves the product being tested with real users in order to identify the elements of the design that work well, as well as those which require improvement. The UX process is not only for when a product is initially being designed – it also brings immense benefits in optimising a product once it has been launched, as well as to ensure the product keeps up with emerging technology. Customer experience (CX) design is the process of designing a product or service that provides a customer with a pleasant, professional, and helpful experience with a company, across their total interaction. This omni-channel interaction may include the digital, retail, customer service, and call centre experience. the effect (the impression a customer forms and holds as a result of their encounter with the environment). For a customer experience to be successful, the total interaction needs to meet or exceed the expectations of all parties involved. Although a company is able to mostly control the environment and the encounter, they have little control over the effect. This is because the effect is predominantly influenced by the customer’s personal circumstances and attributes, including their mood, the context of their interaction with the company, and previous experiences they may have had with similar companies. A good customer experience is one that meets the customer’s needs, does not require too much effort on behalf of the customer, and makes the customer feel good. Service design (SD) is the process and act of designing and enhancing services. It is multidisciplinary, and considers all touch points across the entire customer journey, as well as the back-house activities that enable this journey to occur. Overall, service design involves the intentional and thoughtful design, organisation, and planning of the people, infrastructure, communication, and material components of a service. The aim of service design is to improve the experience between the service provider, its employees, and its customers. The aim of service design is to improve the experience between the service provider, its employees, and its customers. 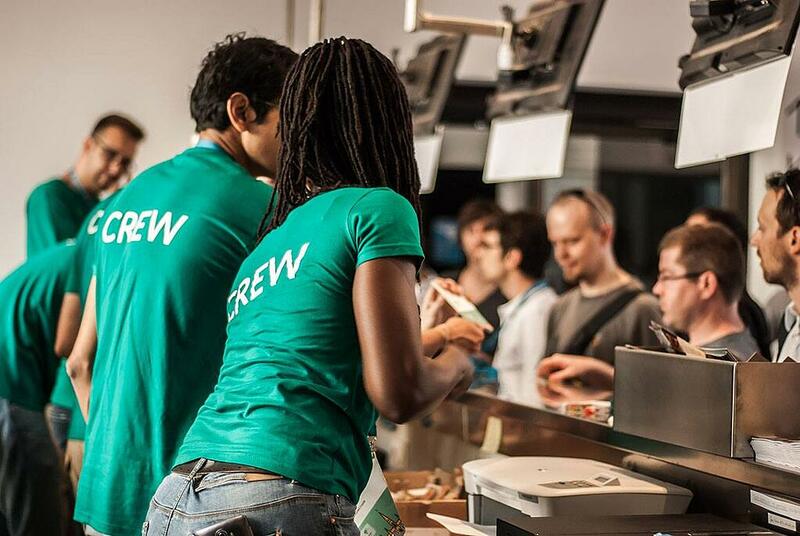 Service design cares about both the customers as well as the employees who are involved in the delivery of a service, and understands that employees are an organisation’s most valuable asset. By taking both customers and employees into account, service design can improve factors such as ease of use, satisfaction, loyalty, and efficiency for all parties. The service industry represents approximately 70 per cent of Australia’s gross domestic product and employs 80 per cent of working Australians. Adding to that, services can be very complicated – they often involve complex interactions across multiple touch points, with these interactions occurring over days, weeks, or even months. There are front and back-office considerations, and the delivery of a service often cuts across organisational silos and involve many different people. Given all these factors, employing service design principles can ensure a service is both sustainable and competitive. In conclusion, although UX, CX, and SD are each distinct disciplines, they shouldn’t be considered in isolation. 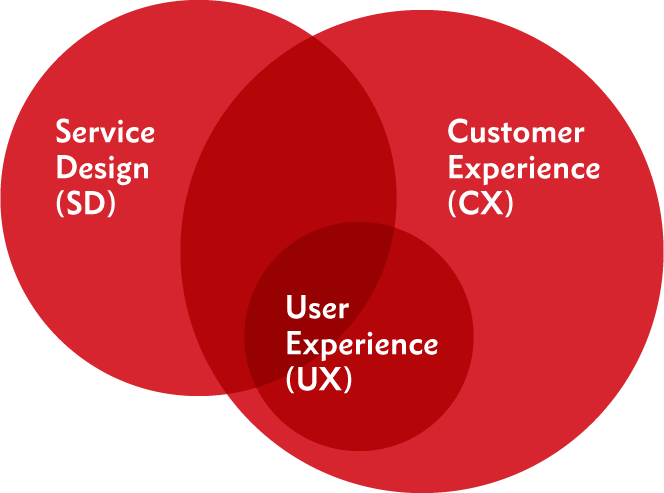 UX, CX, and SD all focus on the experience of people, and their main purpose is to create a quality and successful product or service. However, they do have fundamental differences, and it is important these differences are understood to ensure each of these human-centered design disciplines are applied to their maximum effectiveness. Enjoyed this article? We've got loads more useful content to help you and your organisation succeed in the digital world; from User Experience best practices and Tips, to Web Development insights and business strategies. Subscribe to our Blog now and we'll send you a quick email each time we publish a new article. Are you interested in exploring how we can help your organisation with UX, CX and SD? Our approach is based entirely around this concept: putting the customer at the centre of everything we do. If you'd like to find out more, then get in touch; we'd love to help you achieve you vision.